Sony will be holding a press conference in Hong Kong on August 9th and 10th to showcase the next chapter in their signature series line which debuted in 2016. We are looking at a few devices here, a new high end headset, the MDR-Z7M2, a super high end DAC, DMP-Z1, and 3 in ear headphones, IER-M7, IER-M9 and IER-Z1R. The rumoured pricing of the DAC is around 60,000 RMB, or 7,500 Euros. The least expensive should be the IER-M7 but I would not expect anything under 300 Euros here. I would imagine we will see these at IFA but no sure availability will be everywhere around the world and will be market specific. Also I am not sure if I will be able to update the site with the relevant info once Sony make it available right away. 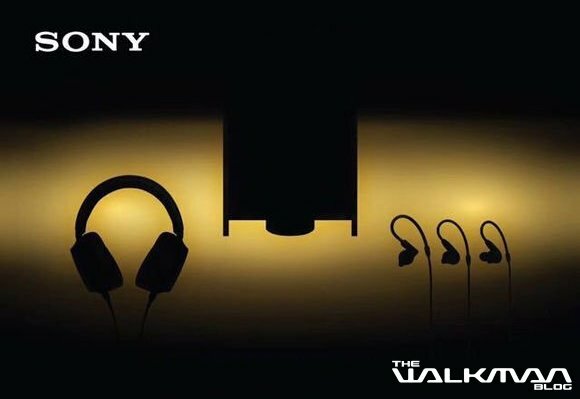 In August 2018, Sony Sony will release a new series of alcohol sounds during the Hong Kong Advanced Audiovisual Exhibition HKAVSHOW 2018, including the Walkman and new headphones: Signature alcohol series new brothers: IER-Z1R and DMP-Z1, Sony in the ear Stage monitor headphones series: IER-M7 and IER-M9, as well as upgraded headphones - MDR-Z7M2 (MDR-Z7 upgrade)! The new Signature Alcohol series, the new brothers IER-Z1R and DMP-Z1, enhances the high-definition sound quality experience, from listening to sublimation to the level of experience, providing a better music experience for audiophiles. DMP-Z1 product concept: suitable for indoor use, such as home, cafe, hotel and so on. Sit back and enjoy listening to music and put the player on the desk or on the side table. IER-Z1R product concept: Shows excellent 100kHz effect in the ear, the core is the sound and experience. Provides the best tone balance and absolute noise isolation for stage monitoring, while also providing you with a stable wearing experience that avoids the loss of headphones during the show. This is Sony's music experience tailored for professionals and audiophiles. The IER-M7 is Sony's first in-ear stage monitor, and the IER-M9 is a high-end advanced in-ear stage monitor. Equipped with a newly developed balanced armature (BA) drive and linear acoustic reproduction system for superior sound and precise sound performance. The M9 housing is made of aluminum-magnesium alloy and M7 is made of resin. The IER-M9's newly developed super tweeter uses a magnesium alloy diaphragm with high hardness and high internal friction, a gold-plated terminal and a silver-plated brass voice coil to increase the driving force of the super tweeter. These wires are used in the symphony to faithfully reproduce the original sound without losing a slight faint signal and ensuring low distortion when delivering rich and clear sound. The IER-M9 uses a shell molded waveguide as the sound path to the human ear. Through a short, wide sound path, this waveguide achieves an ideal frequency response, thereby suppressing spike acoustic resonance. The entry-level model of the high-quality audio world, the development of the "Sony sound effect" of the Z1R technology, support for high-resolution audio playback, and the use of the new 70mm HD drive unit, with Fibonacci spiral grid, high aluminum-plated LCD Molecular diaphragm. There are also 3.0m silver-plated OFC lines and gold-plated stereo mini plugs, as well as 1.2m silver-plated OFC and gold-plated balanced standard plugs, as well as gold-plated plug adapters. Thanks to 72Recon from twitter for the info. More info here in Chinese.